Golden Age Project COMP54 MK2 PLUS w/ Carnhill Transformers by Golden Age Project at Riot Recordings. MPN: COMP54-MKII-PLUS. Hurry! Limited time offer. Offer valid only while supplies last. The COMP54 Mk2 is a one-channel vintage style compressor upgraded with three Carnhill Transformers. 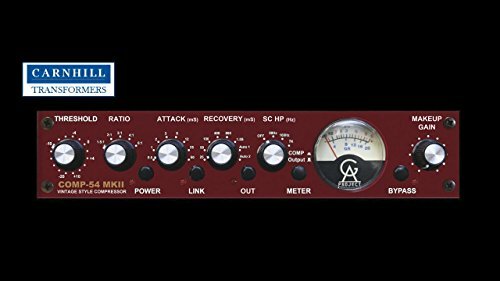 The COMP54 Mk2 is a one-channel vintage style compressor upgraded with three Carnhill Transformers.